Spring is here and this week it started to prove itself, at least for a few days. 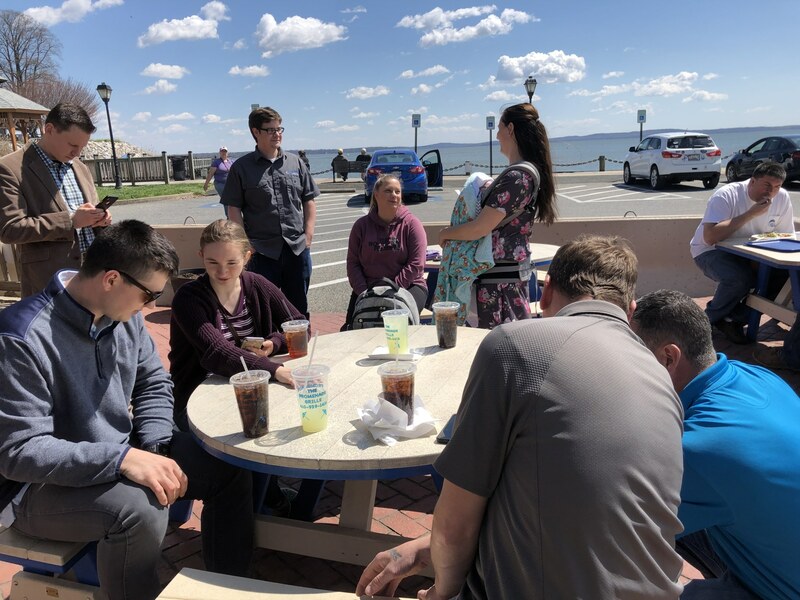 The Pendant team took advantage of the fine weather on Wednesday, at Matt’s invitation (formalized with an official calendar invitation), to take a stroll on the Havre de Grace Promenade and dine at the Promenade Grille. Matt will protest that it was a suggestion, not an invitation, meaning that he wasn’t on the hook to treat everyone else to lunch. Coupled with his love for the New England Patriots, this is a huge strike two against Matt, and he’s going to have to perform some pretty magical stuff when it comes to design and engineering to overcome it. 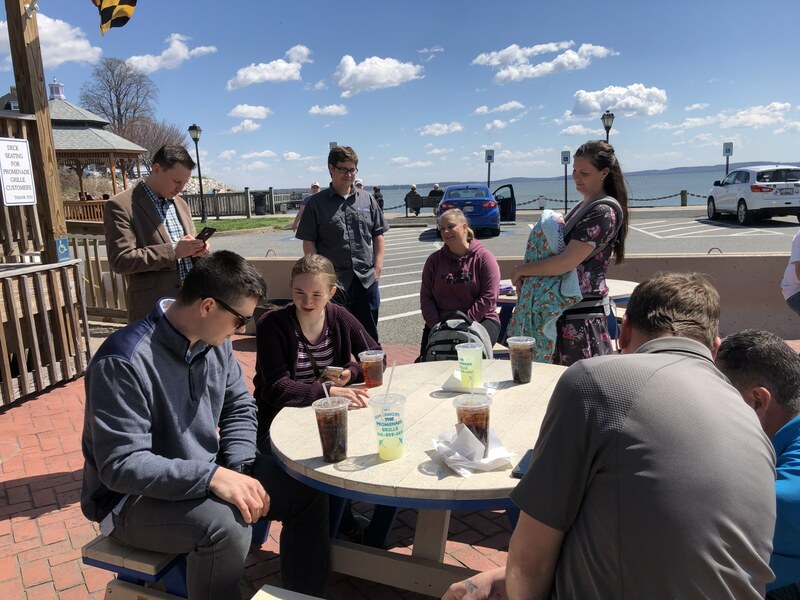 The Havre de Grace Promenade is a delight (Promenade info), situated as it is at the confluence of the Susquehanna River and the Chesapeake Bay. The promenade is a very short walk from Pendant’s offices and panel shop, and it’s not unusual to find a couple of us “going walkabout” as a way of facilitating discussion about the week’s events. On Wednesday it was especially enjoyable because of the warmth and sunshine. So, despite Matt’s treachery, the stroll was a welcome break in the middle of our day. We love Havre de Grace and think you would, too. Stop in and see us. 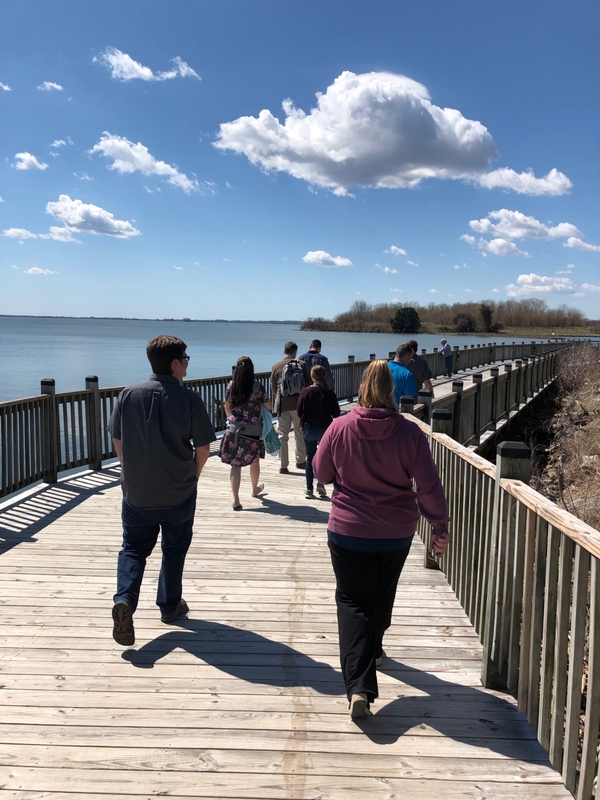 We’ll show you the Promenade and other parts of Havre de Grace. We’ll show you how we will help you execute successful conveyor handling projects.